The dishes are done. The leftovers have been packed away. And as we unload the dishwasher, thoughts turn to Christmas, Black Friday, Cyber Monday, shopping lists and Christmas cards and candy canes and decorating ... not to mention a December calendar filled with kids' Christmas programs and office parties and church events. Added to lives that are already busy, budgets that are already strained, and the impossibility of living up to everyone's expectations, it's easy to feel overwhelmed. So here are some suggestions for easing our way through the season with greater peace and joy, and less distress. Paul wrote in Romans 13:8, "owe no man anything but to love one another..." Yet we often, especially at this time of year, start functioning out of obligation. There's pressure to do things, buy things, and go places we'd rather not go in an attempt to please others, satisfy some unspoken requirement, or live up to expectations. Doing things out of obligation isn't Christian (it's religious), nor is it satisfying for anyone involved, so we might as well lay it aside in favor of things done from a motive of love. Whether it's bringing the best treats to the classroom holiday party, having the most popular dessert at the church potluck, making sure your Christmas decorations are the best on the block, or getting your kids the best presents, competition neutralizes the very atmosphere of the Christmas spirit. Yes, we probably all have the relative who gloats because he bought grams or dad the best or biggest gift, but let's not join in! 4. Give from the heart, not the head. The best gifts are the ones that come from the heart, gifts we're inspired to give, not gifts we randomly fling into a shopping cart to satisfy a list. This year I'm going to try something new ... I'm going to pray over my gift-giving list and ask God how to be a blessing to those names on the page. It might be a gift, or a hand-written note, or something else entirely. However you celebrate, whatever traditions you have, or want to create, I hope and pray this will be the best Christmas season yet for you and yours, one that will always remind you of the goodness of Christ and the reason for the season. 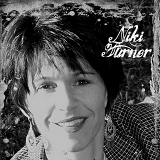 Mother of four and grandmother of one, Niki Turner is an only child, wife of a former pastor, and writer of fiction, blog posts, Facebook status updates, a tweet here and there, and lots of long grocery lists. She also writes, copyedits, and proofreads for the local newspaper. Her first completed manuscript was a finalist in the 2009 Touched by Love contest. These are all awesome, Niki. I especially like "Obliterate Obligation." It's something I've been working on a lot in my life. Yesterday I actually took some teasing flack over my perfectly baked, absolutely delicious (and may I add, not cheap) Marie Calendar's pumpkin pie. Sorry, no, I didn't slave for hours just so you could say your pie, which tastes exactly the same, was made from scratch. And I don't apologize! Thanks, Dina! I struggle with the obligation problem, too, which is probably why it made #1 on the list. As I've gotten older it has become more and more difficult for me to force myself to do things I don't enjoy just to fulfill an obligation, and I refuse to make up excuses anymore! Great post, Niki. Thanks. I struggle with "obligation-itis" too. I used store-bought gravy yesterday. I feel no shame. I hate making gravy, and Trader Joe's makes a pretty good gravy. So there, LOL. I felt rather pleased about driving by the mall and outlet mall and seeing them still full at 6 pm ... Knowing I am free of the gift giving frenzy. Especially after a great Thanksgiving where it was just about time with friends and family. No obligations or competitions or spendy spendy. So nice and relaxing. Thanks Niki. What a great list! I guess we're all in agreement, Niki, that this is a great list! I don't particularly care for shopping on a good day. I can think of no circumstances where I would shop on "black Friday". I'm already sick to death of the Christmas commercials on television. I was disgusted when the stores started putting Christmas items out in August. 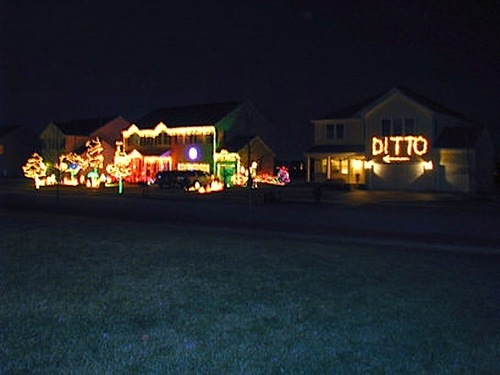 There's something about the current commercialism of Christmas that brings out the worst in people in a season that should bring out the best. Can you believe an "older" woman assaulted a little boy and grabbed a toy he was trying to buy today? I'd like to obliterate obligation, too. I was thinking about all of the "work" related obligations I have coming up beginning next week, that will all come out of ONE paycheck. Yikes! It made me stressed just thinking about it, so I decided to do schoolwork instead. Lol. Certainly by following the model of Niki's list, we can find the peace, love and goodness in this most blessed of seasons, instead of the chaos. I think it's funny that we all have so much food-based pressure about things being homemade. Nobody blinks when we serve up store-bought gravy or Marie Callendar's pies the rest of the year! Deb, I think it would be wonderful to take my family to Mexico for Christmas one year, or on a cruise, and call all the present-giving done... besides getting away from the pressure to participate, it would be great to have that kind of quality time together. I was so overwhelmed by the end of the day I couldn't stand it. I think if I had unlimited resources the process would be more fun, but it causes so much money stress I can't stand it!